Updated Thursday August 18, 2016 by Lafayette Generals Football. 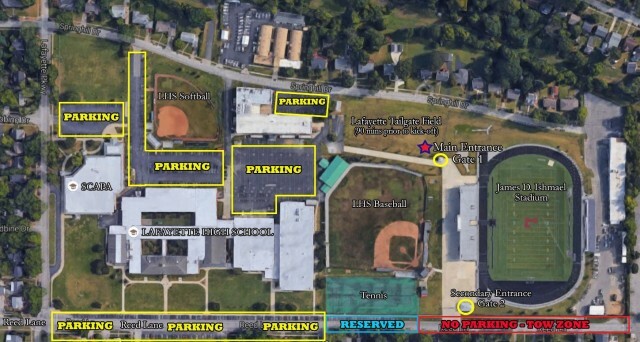 To make your Friday Nights under the Lafayette Lights a more pleasurable experience, we've made a few changes to our parking and main gate entrance. Our hope is to alleviate the traffic jams and lack of parking on Reed Lane and help our loyal fans avoid the headaches and fees of having their car towed. Please refer to the attached map.